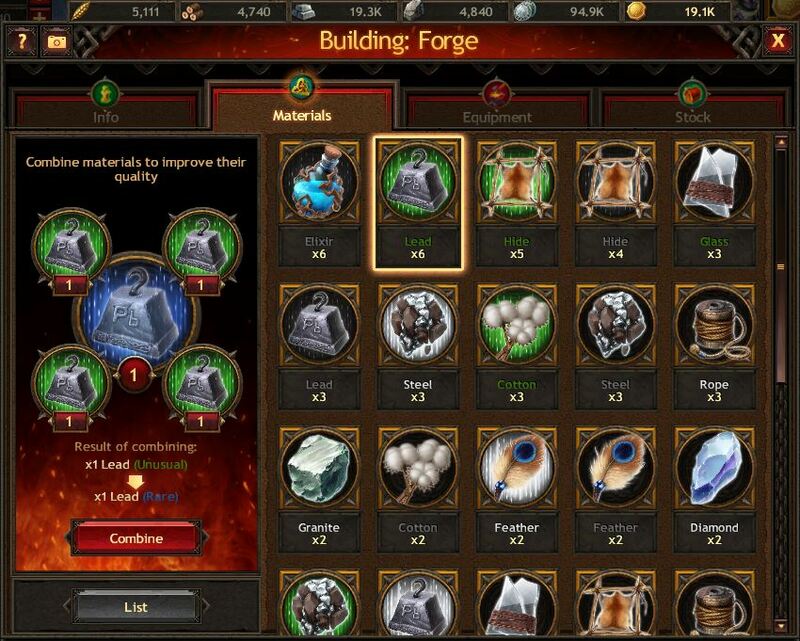 Materials are used to craft equipment for your Hero. There are two types of materials: standard and special. You can get standard materials as a reward for performing various game actions, by purchasing Coffers of materials in the Item Store and by attacking Invaders and Uber Invaders on the Global Map. Special materials can only be obtained by attacking Invaders and Uber Invaders or by yielding in their Lairs. These materials are used for crafting unique Invaders' equipment that has far better bonuses than standard equipment. In the Forge, you can view all of the materials you have in the “Materials” section.